During the 1800’s, a Prospector was an element hardened explorer, with a specific drive: he pursued the rare minerals of the earth. 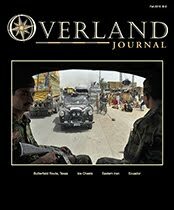 Be it in a deep chasm, cliff-side vein, or high mountain creek, he traversed the harshest terrain and endured incredible hardships to support of his livelihood. The prospector was not a minimalist nor a maximalist. He carried what he needed to be self-sustained for long distances—on foot or with nimble pack stock. The wise Prospector invested heavily in his skill, tools, and preparations. He traveled to the farthest reaches of the wilderness, seeking (with a relentless drive) the motherlode. His tales of triumph and failure, journeys to the edge of the earth and back, epic as they were, will never be told. While the Prospector's former presence in North America is only hinted by narrow shafts and broken rocks afoot towering mountainsides, his spirit lives on. 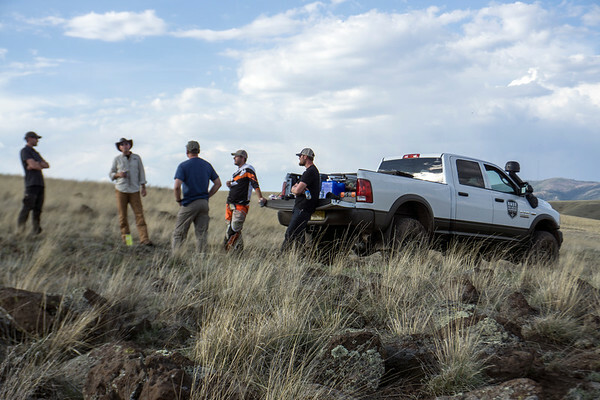 The NMBR Prospector Each year, New Mexico Backroads’ guided trips, 4WD training, scouting, and fieldwork entails over 15,000 miles of travels across the American Southwest—providing services in a variety of demanding conditions. As NMBR’s services have evolved, the need for increased cargo space, payload capacity, towing ability, and other heavy-duty attributes has arisen to better serve clients. 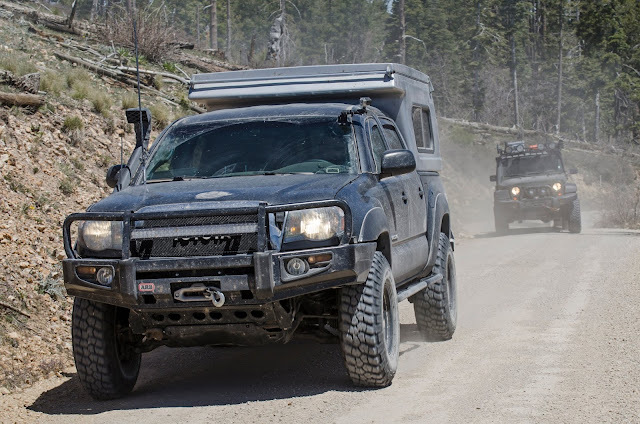 From towing the NMBR F-Toy (rock crawler buggy), to conducting in-field training for full-sized truck driving Federal agents, to providing chuckwagon and lead vehicle duties for multi-day expeditions, the American Expedition Vehicles built NMBR Prospector has risen to the occasion. 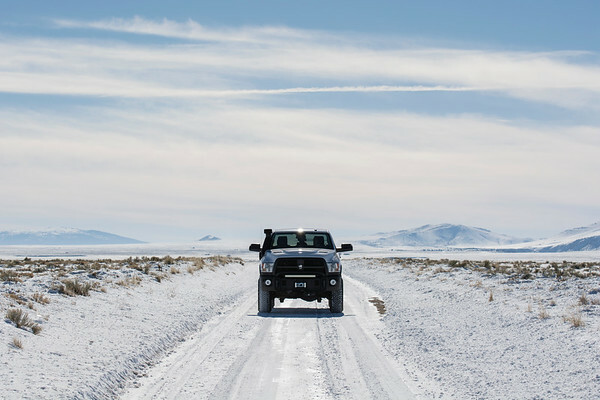 As of December 2017, New Mexico Backroads has logged over 20,000 miles in the NMBR Prospector. 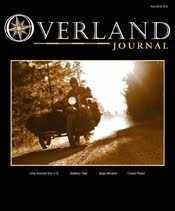 In order understand New Mexico Backroads’ decision to acquire an American Expedition Vehicles built Prospector, the story must be told from the beginning. 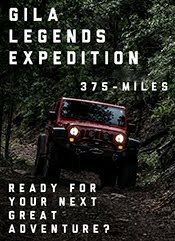 In May 2015, I guided the AEV Team on the six day Gila Legends Expedition. 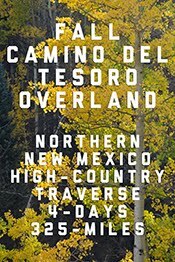 The NMBR route traverses New Mexico’s roughest and most remote backcountry while including a diverse range landscapes, terrain, and four-wheel drive trails that prove challenging for [even] the most seasoned enthusiasts. 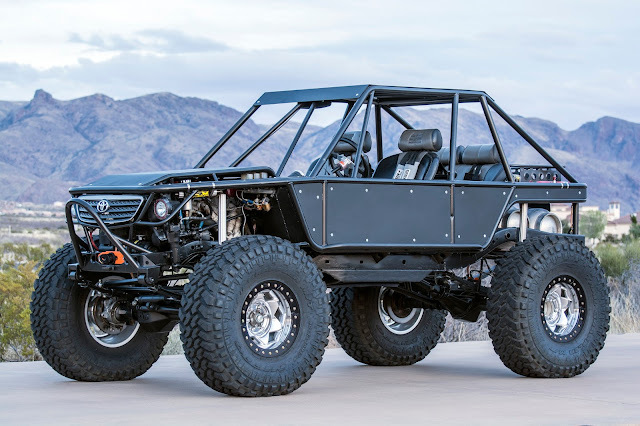 While the majority of the group, including myself, drove well-built JK Wrangler Rubicon models, a giant stood out in bold contrast—the AEV Prospector. Sitting atop 37-inch tires, the purpose-built RAM 2500 Power Wagon was highlighted by AEV’s new DualSport 3-inch suspension system, raised air intake, Salta HD wheels, and a stamped steel winch bumper (amongst other upgrades). The AEV Prospector would be the biggest I had guided along the tight and technical route. My interest in the AEV Prospector, aside from its striking appearance, rested heavily on my need of a truck to handle NMBR’s heavy-duty jobs. 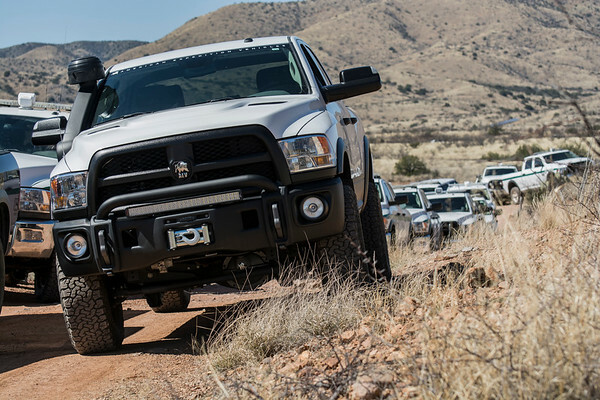 Additionally, enthusiast and professionals that drive trucks day in and day out, one of NMBR’s fastest growing client segments, like to be guided and trained by instructors that own and use [big] trucks themselves. 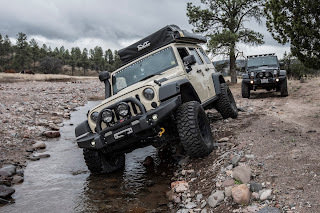 To make a long (400-mile) epic story of precarious shelf roads, gun toting ranchers, howling wolves, washed out roads, and boulder filled canyons a short one, the AEV Prospector performed flawlessly during the Gila Legends Expedition. During the trip, I had the opportunity to test drive the AEV Prospector. My first impressions were that the truck was quite capable, surprisingly nimble, and [suspension] smooth riding despite its size. Overall, it felt like the NMBR Rubicon’s burly brother. Ground clearance, traction, and articulation were plentiful over rocky, off-camber and even the most technical trail sections. 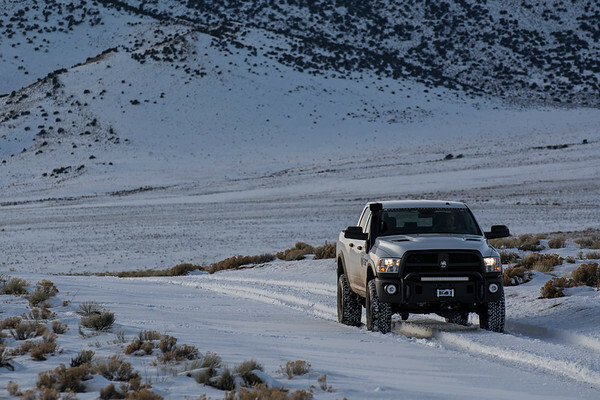 With speed over gravel roads, the Prospector’s stability inspired confidence. The plush suspension, precise handling, quiet cab, and ample power of the AEV Prospector were a far cry from the kidney punishing and rattle trap service trucks I’ve grown accustomed to. 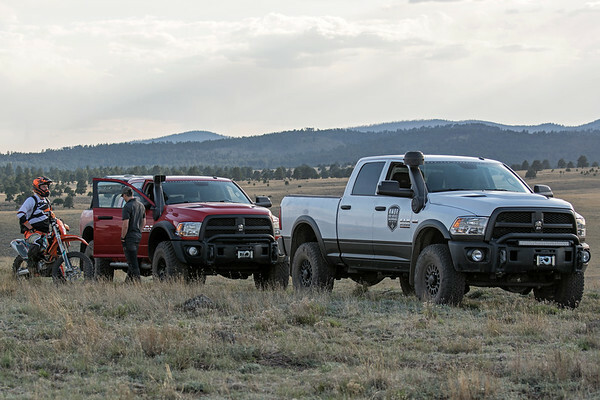 American Expedition Vehicles’ Chris Wood explained that their approach to designing and manufacturing parts for RAM Trucks follow the same fundamentals as their Jeep Wrangler products: complement OE design, utilize the highest quality materials and finishes, and maximize performance. This was the reason I was drawn to AEV’s products years back when outfitting the NMBR Rubicon. 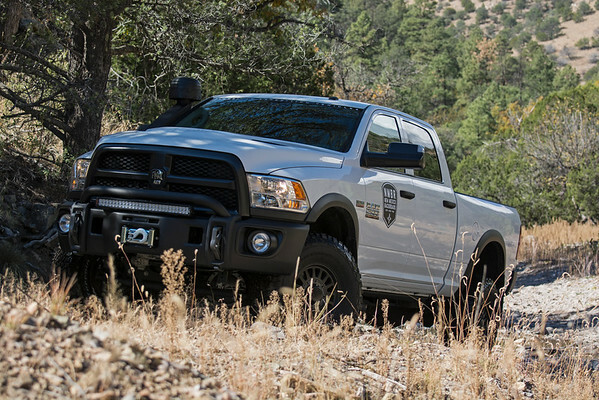 For NMBR’s toughest tasks, the AEV Prospector proved itself in New Mexico as a viable full-size solution. The NMBR Prospector’s build theme and upgrades are centered on balancing capability and versatility. 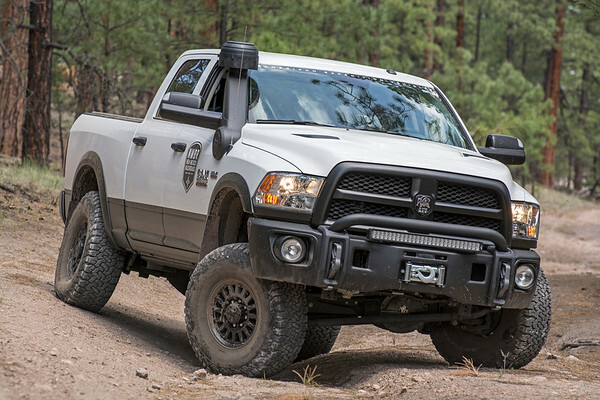 A RAM 2500 Power Wagon was selected as the NMBR Prospector’s build platform. 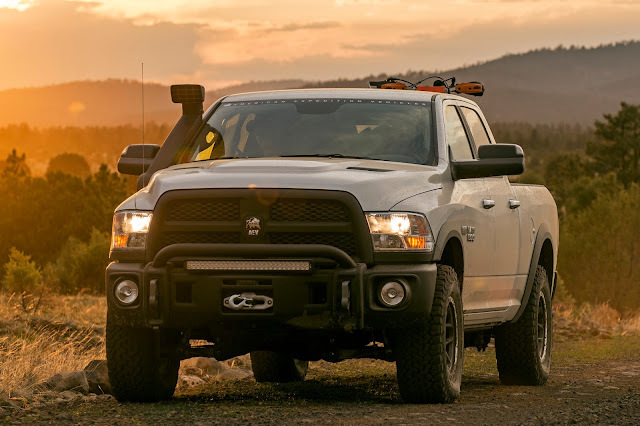 Straight out of the box, the Power Wagon is equipped with a 6.4-liter 410-horsepower HEMI engine, front and rear locking differentials, 4:10 axle gearing, and a selectable front sway-bar disconnect. 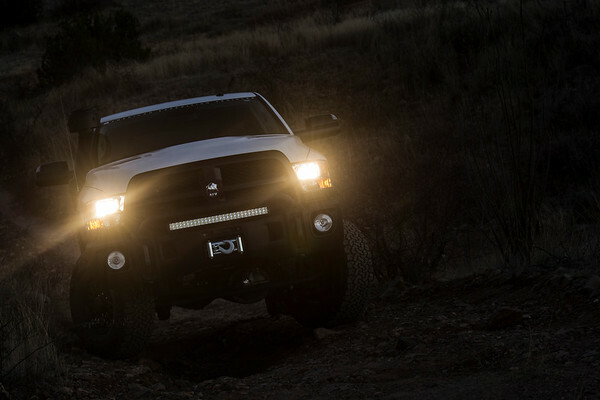 The standard features of the Power Wagon, paired with AEV’s Prospector build components, yield one of the most capable full-sized trucks available. 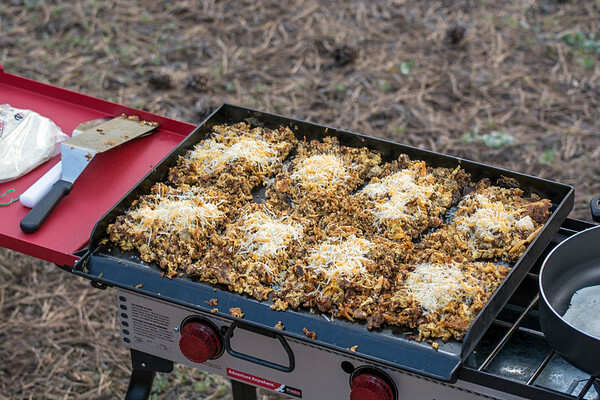 With its copious cargo area and plentiful payload capacity, the NMBR Prospector is well suited for chuckwagon duty for trips and training where I prepare meals for clients in the backcountry. 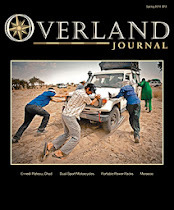 In addition to NMBR’s normal 4WD/overland field kit, cooking provisions and equipment are stored in the bed and protected under a folding hard cover. Bed cargo control is managed by an infinitely adjustable L-track and tie-down system. A mess kit load-out, from a recent expedition I guided and catered for eight individuals, (for 5-days unsupported) revealed two ARB fridges, a three-burner guide stove, two 20-pound propane tanks, a variety of dry storage containers and bags, tables, chairs, a shade canopy, 40-gallons of potable water, and a host of other essential goods. This particular expedition would have been impossible for me to guide and support a year ago with the NMBR Rubicon. 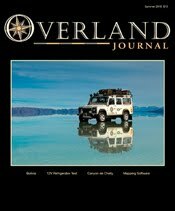 As the vast majority New Mexico Backroads’ mileage is over rough unpaved roads, my interest in vehicle suspension and steering performance is principal. Slight variances in handling, stability, and ride comfort can mean the difference between feeling fine or being fatigued after a 12-hour drive day in the field. 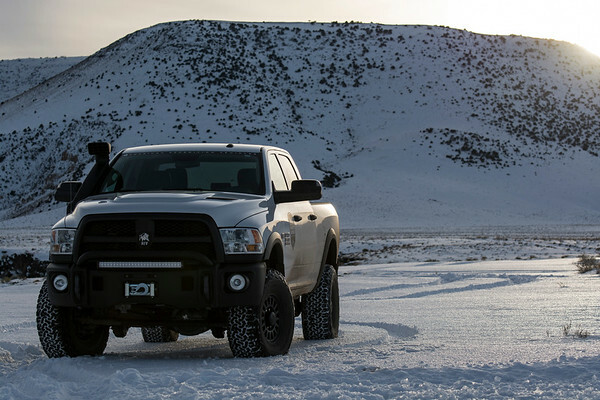 The benefits of AEV’s RAM Trucks suspension system, aside from being able to run larger tires, provides increased ride comfort and improved handling characteristics. 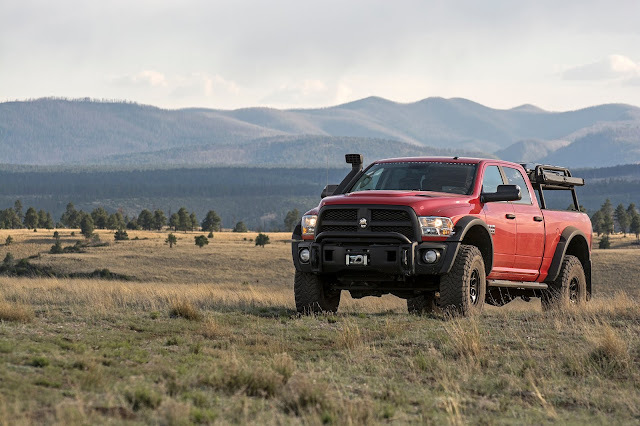 The AEV Prospector’s 3-inch DualSport suspension system provides a complete lift solution that does not compromise benefits of having a heavy-duty RAM Trucks. These strong attributes were critical in my decision to go with AEV’s Prospector build package. Be it winding mountain pass roads, interstate travels, or washboard dirt highways, the NMBR Prospector inspires confidence while pulling the NMBR F-Toy (rock crawler) on a 16-foot flatbed trailer. With the trailer properly weighted, rear coil compression is minimal and the truck retains a slight rake. 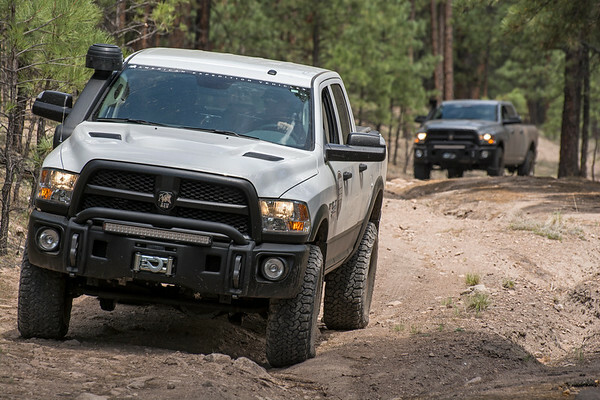 Un-hitch the trailer, air down the 37-inch BFG KO2 tires, and the Prospector is ready for moderate trail duty. 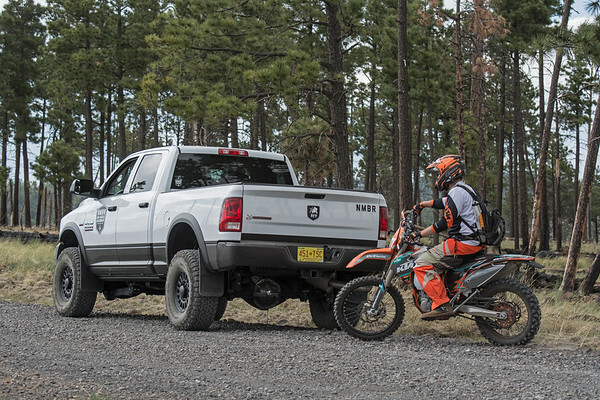 On the primitive two-tracks of the Gila, and fully loaded with gear [no less], the NMBR Prospector’s prowess over deeply rutted roads and rocky trail sections never ceases to amaze. While driving a full-sized truck on tight trails requires careful consideration of lines, heightened driver awareness, and constant brush trimming, the NMBR Prospector’s approach/departure angles, ground clearance, and articulation make easy work of technical trail sections. One drawback for adrenaline junkies: The steadiness and surefooted traction the AEV Prospector Power Wagon provides through steep trail sections and off-camber situations makes for a rather undramatic driving experience. Few other off-road professionals can tally towing, highway long-hauls, and trail running as defining characteristics of their work truck—mine seats six and carries a full kitchen in the bed to boot. 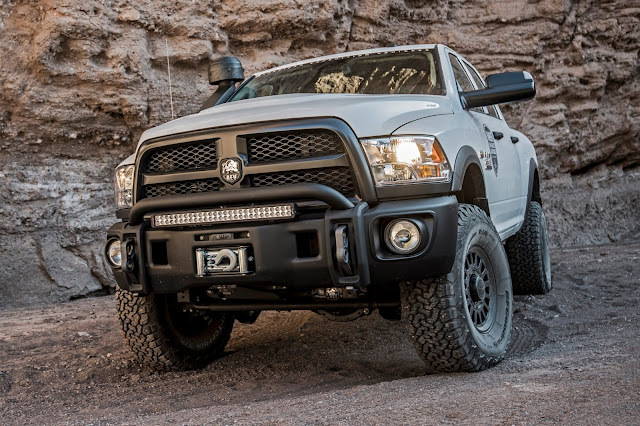 While the American Expedition Vehicles DualSport suspension system remains the most appreciated equipment upgrade on the NMBR Prospector, the stamped steel front winch bumper and raised air intake are tied for second place. 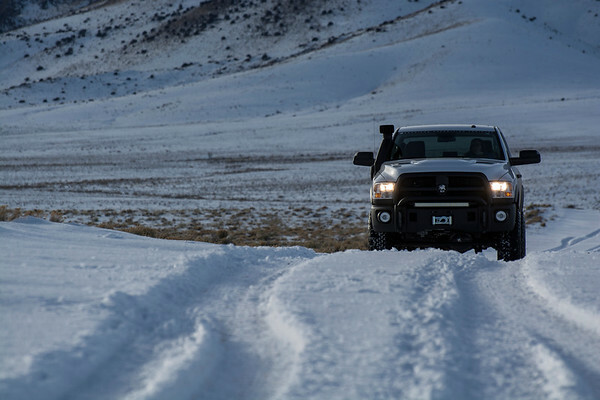 The AEV Premium RAM bumper features two massive iron tow loops points which serve a dual purpose: anchor points for pulling and recovery, and bash guards for those obstacles that exceed the truck’s approach angle. When traveling the through New Mexico’s forest burn scar areas, it’s not uncommon to find dozens of fallen dead trees (or snags) across the roadway following the spring melt. The task of pulling trees out of the road is made easy when employing a Grade-80 choker chain attached to the bumper’s easily accessible and wide-opening tow loops. Inside the bumper, a AEV’s stout winch mount houses the OEM 12,000-pound Warn Winch. 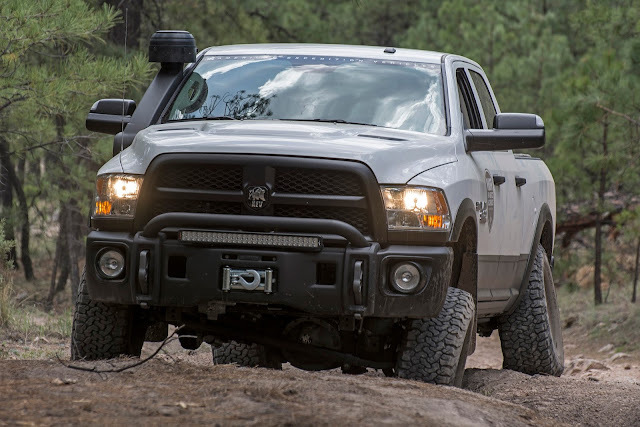 Through countless winch training exercises and vehicle recoveries, the NMBR Prospector’s bumper has seen its share of heavy use without budging. 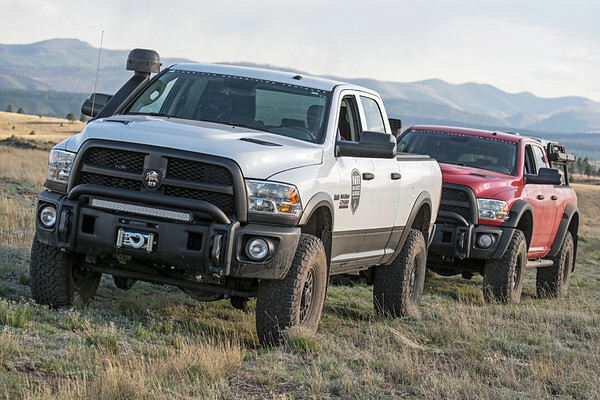 The American Expedition Vehicles RAM raised air intake is quite a conversation starter. 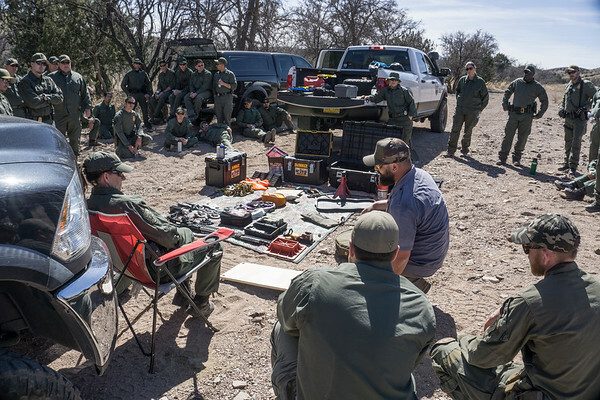 Some of the most highly modified vehicles on NMBR’s training trips are those of law enforcement offices. While they have heavily equipped vehicles, with upgrades I can’t talk about here, ask pointed questions when surveying the NMBR Prospector’s raised air intake for the first time. 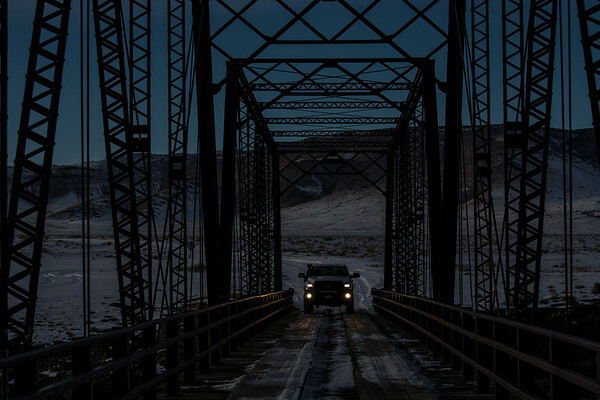 “You plan on driving through a river that high?” - is the most common [chuckled] question. It provides a great opportunity for me to reference the dusty off-pavement mileage I’ve racked up since my last air filter change, pop the hood, open the intake housing, and show them how clean the paper air filter remains. 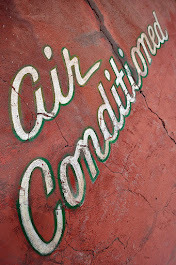 The benefits of the raised air intake when paired with the High Efficiency Dust Filtration System are one of the most vital upgrades that can be made for enthusiasts and professionals operating in dry and dusty environments. Supplying clean air to the engine helps increase performance and extend the service life of work trucks that are used for their intended purpose. As for that deep river crossing, I may need to venture out of New Mexico to fully utilize the raised air intake’s snorkel function. 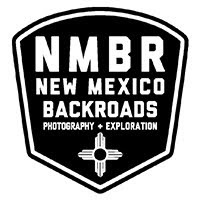 As a growing small business, New Mexico Backroads has been afforded the opportunity to expand and evolve their guiding and training services through use of the NMBR Prospector. 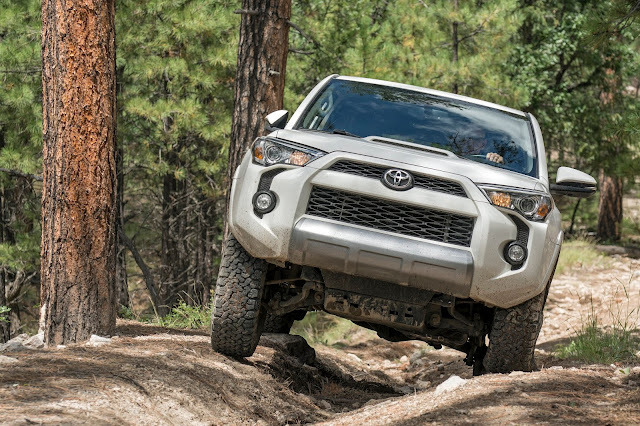 The most basic function the AEV equipped truck serves is the strong abilities to tow a trailer, carry heavy loads, traverse technical terrain, and support the growing full-sized truck segment where individuals and agencies are trading SUV’s for capable [big] trucks. The modern-day Prospector seeks risk and reward through purposeful endeavors—far from the beaten path. The roughest routes are sought, the preparations are a religion, the transport is reliable, and the journey's purpose is absolute. The most dedicated field professional, adventurist, weekend warrior, or seasoned sportsman follow the tracks of the original legend-The Prospector.